Hiyoshi Mamoru was born in Tokyo and graduated from the Tokyo School of Fine Arts. 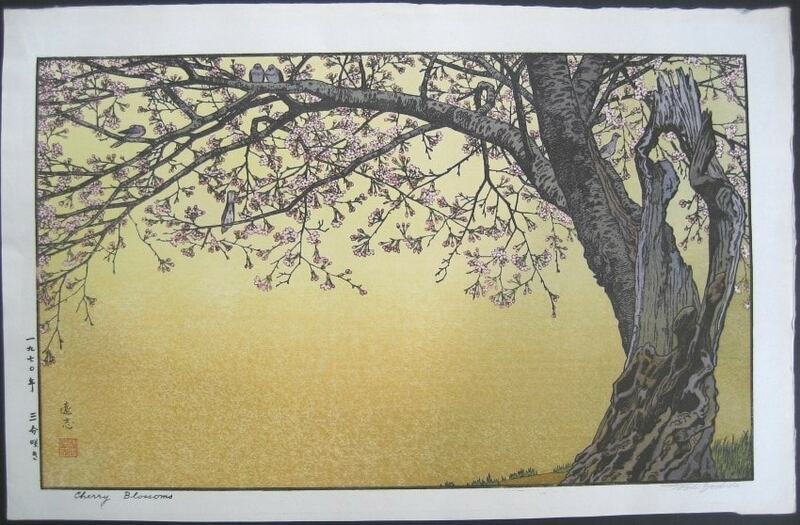 He was a woodblock print artist and painter although it is his 1950’s woodblock prints that he is known for. 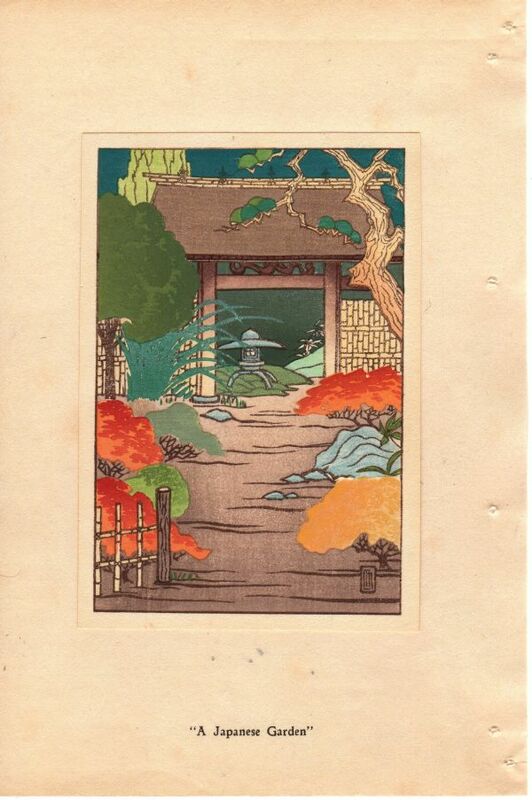 All the woodblock prints I’ve seen by Hiyoshi Mamoru were printed by Kyoto Hanga-In and feature Korean daily life scenes in the early 1950’s. 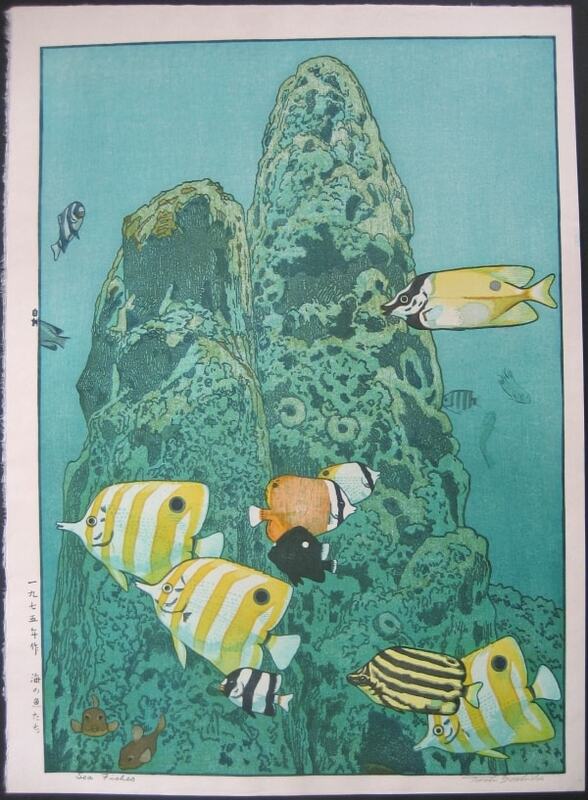 His prints can be quite colourful and are often signed in english M Hiyoshi. 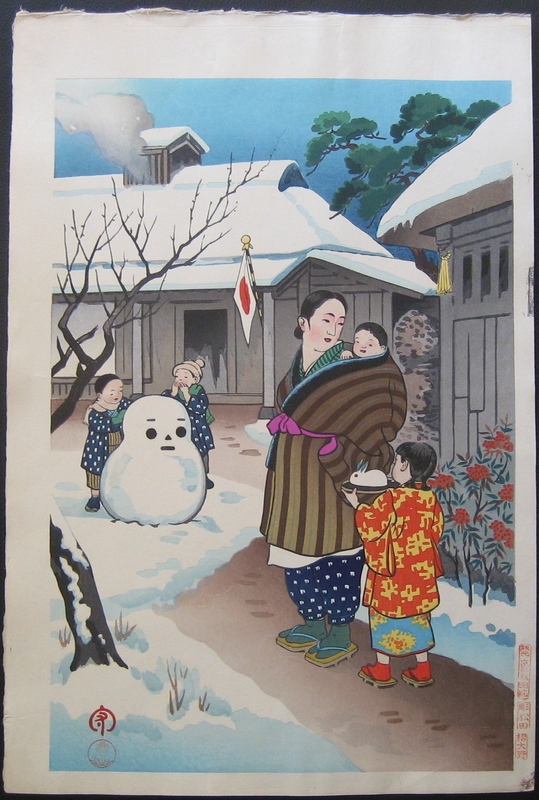 Hiyoshi Mamoru also produced woodblock prints depicting Japanese daily life. 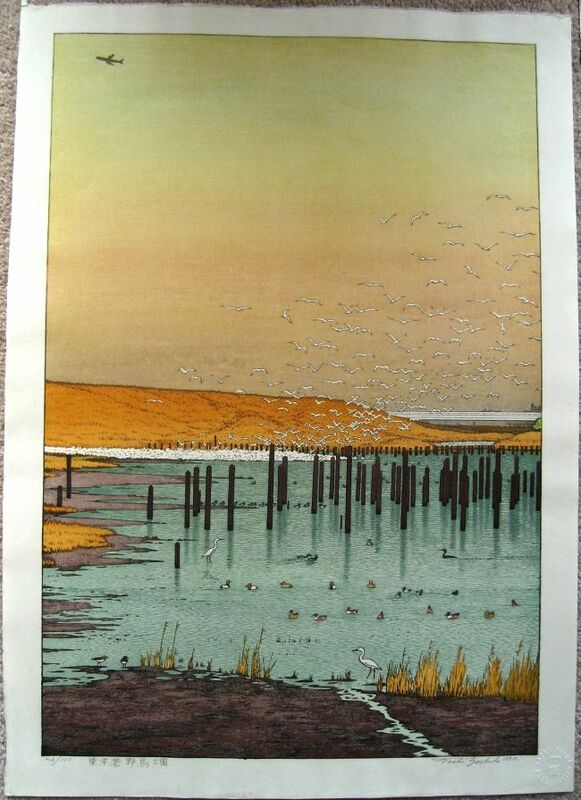 To date the only one I’ve seen is of Cormorant fishing on the Nagara River in Gifu Prefecture. 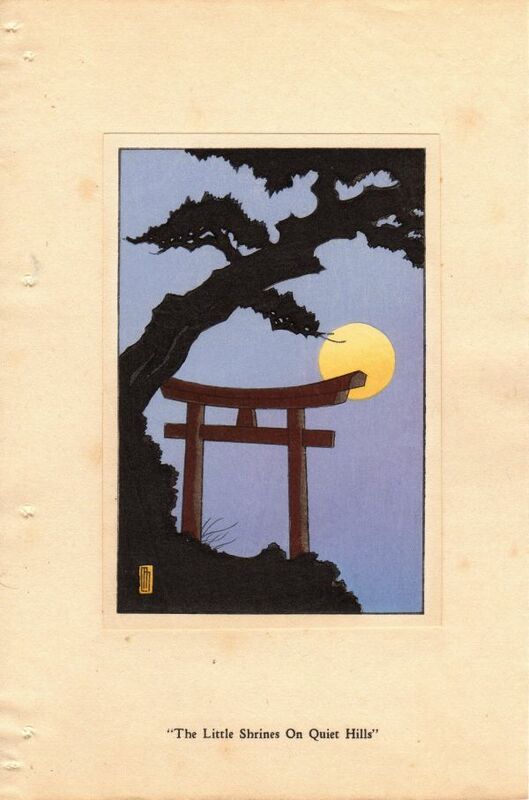 I’ve uploaded the three Hiyoshi Mamoru woodblock prints below to the gallery. 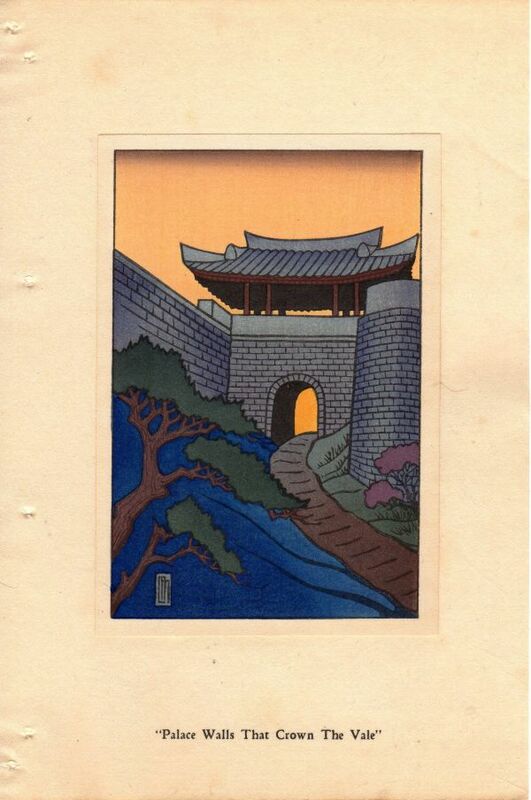 Each priint is oban sized and depicts daily life in Korea from the early 1950’s. 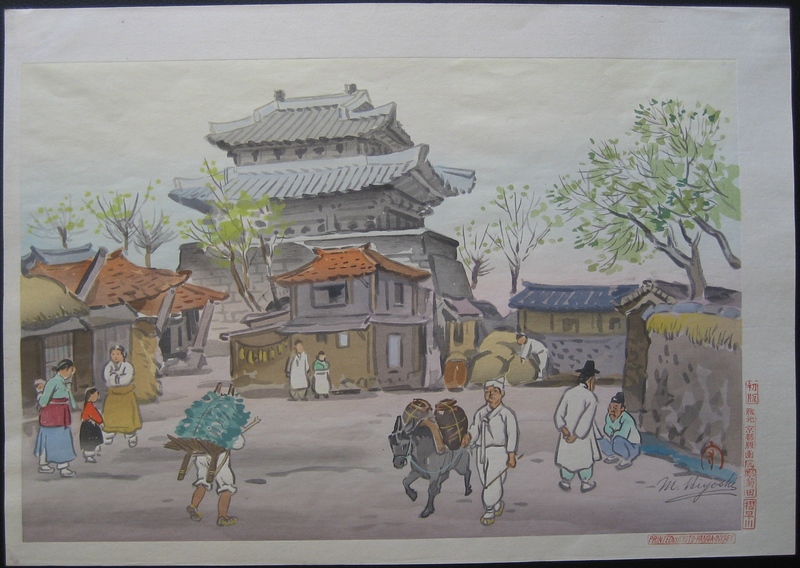 This woodblock print shows a street scene in Korea. 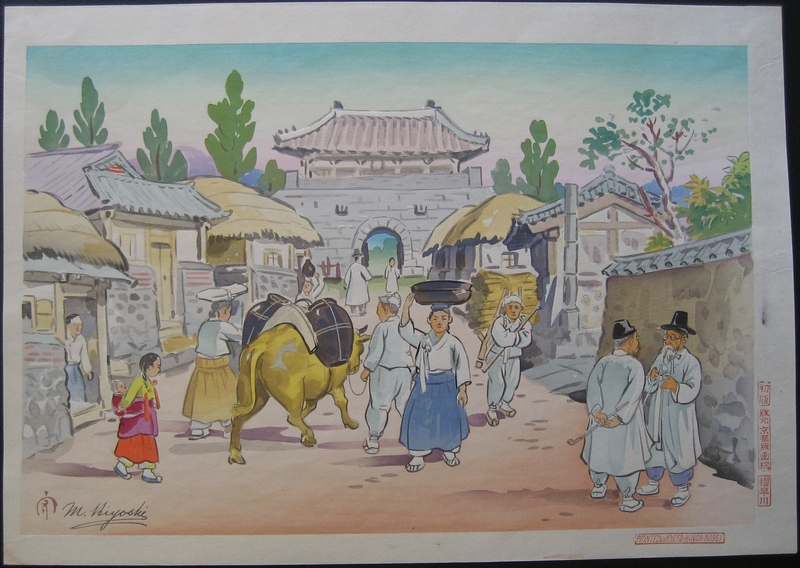 This woodblock print shows a busy street scene in Korea. Do you mean your interested in buying that print? If so, I’d like $95 plus $25 postage for it. If you wish to proceed please reply using the Contact Us page and I’ll send you the payment details.